Steven Opolski works with CardioMed Device Consultants as an affiliate consultant and brings almost 30 years of industry experience. He is well recognized consultant specializing in design and computer modeling of a wide range of medical devices including stents, heart valves, AAA devices, vena cava filters and structural heart repair devices. Steve graduated with a BS in Mechanical Engineering design from Worcester Polytechnic Institute and an MS in Mechanical Engineering design from Rutgers University. Steve has also worked for a variety of small and large medical device companies as an individual contributor specializing in finite element analysis (FEA) to being an engineering manager of an implant group responsible for all pre-clinical testing of implantable stents. Since founding Atlantic Engineering (AE) in 2003, he has worked with a wide range of device companies world-wide in the early design stage through full engineering evaluations for regulatory submissions. While structural FEA is a specialty, AE also performs testing of wire and tubing in air or solution to determine the fatigue limit for various materials. This testing capability tends to compliment the modeling work. 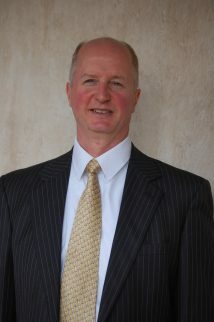 Steve also is available for design purposes and currently holds 17 US patents. Lastly, Steve works as an expert witness in patent infringement, product liability and medical malpractice cases. Steve is a member of the American Society of Mechanical Engineers (ASME) and active with ASTM International Endovascular Devices Test Methods Task Group.